Plants grow similarly to sweet peppers and fruit abundantly throughout the summer, preferably under glass or in a sunny spot outdoors. Flattened round, paler purple fruits with firm, bitter-free flesh. Water and feed generously after planting out and as necessary throughout the period of cropping. To help support the plants, soil can be pulled from between the rows to the base of the plants and made firm, or support with a stout cane. Side-shooting or ‘stopping’ is not necessary. Fruits should be consumed as soon as possible. Plants grow similarly to sweet peppers and fruit abundantly throughout the summer, preferably under glass or in a sunny spot outdoors. Cylindrical, glossy purple skinned fruits with bitter free flesh. Water and feed generously after planting out and as necessary throughout the period of cropping. To help support the plants, soil can be pulled from between the rows to the base of the plants and made firm, or support with a stout cane. Side-shooting or ‘stopping’ is not necessary. A ‘Kenyan type’ of compact bush habit to 50cm, producing an abundance of slender, round, dark green pods up to 11cm in length. Pick regularly for heaviest crops. Stands hot weather well. Resistant to bean mosaic and anthracnose. Continually pick the beans before they become too large and coarse. Interplanting between rows of quick maturing vegetables such as radish or lettuce may be carried out or mulching between the rows with straw to conserve moisture and suppress weeds. 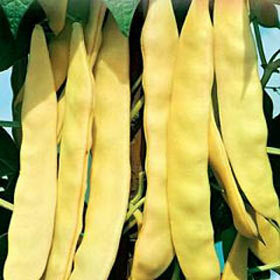 Attractive bright yellow, slender, stringless pencil podded ‘waxpods’ on vigorous bushy plants. 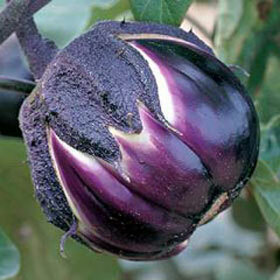 Early maturing and crops heavily over a long season if picked regularly. 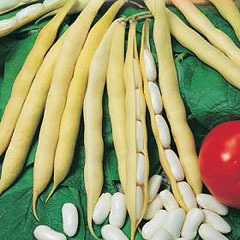 Compact plants producing pale cream-yellow pods containing 6 or 7 large white ‘cannelloni beans’, essential for a range of specific dishes. Plants quite late maturing, usually grown for the fully mature seeds harvested in the autumn. Typical ‘Borlotto’. 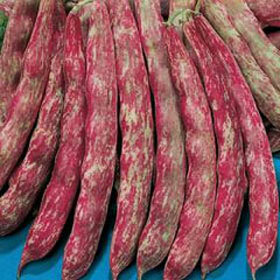 The 13-14cm, quite broad pods are attractive red splashed cream, bulging with 6-7 cream with red streaked seeds. Pods can be harvested immature but it is usually grown for the full sized seeds for harvesting in the autumn. 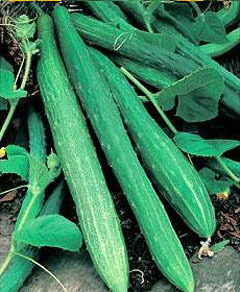 Vigorous plants producing a tremendous crop of very long, thin green pods up to 45cm in length, hence their name. 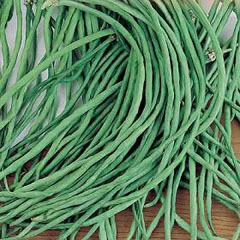 Also known as ‘asparagus bean’. Flavour is at its best when picked young and tender. Water regularly after sowing and throughout the cropping period. Supporting poles, canes, or netting, at least 180cm tall should be in place before sowing. Mulching between rows with straw will conserve moisture and suppress weeds. Continually pick the beans before they become too large and coarse. 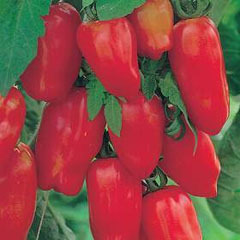 Produces a heavy crop over a long picking season if picked regularly whilst young and tender. 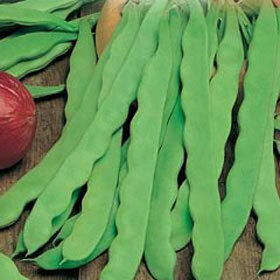 Pods 25-27cm long, pale green, flat, 2cm broad and stringless. Water regularly after sowing and throughout the cropping period. Supporting poles, canes, or netting, at least 250cm tall should be in place before sowing. Mulching between rows with straw will conserve moisture and suppress weeds. Attractive pale yellow ‘waxpod’, producing 20cm pods about 2cm broad. Very early to harvest first pods and a prolific cropper over a long season if picked regularly whilst young and tender. Water regularly after sowing and throughout the cropping period. Supporting poles, canes, or netting, at least 180cm tall should be in place before sowing. Mulching between rows with straw will conserve moisture and suppress weeds. Continually pick the beans before they become too large and coarse. 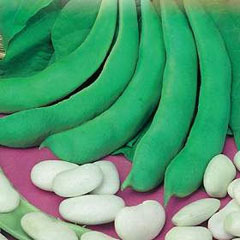 Long, mid green, slightly curved broad pods containing 5-6 large white ‘butter beans’. Pods can be harvested immature but it is usually grown for the full sized seeds for harvesting in the autumn. 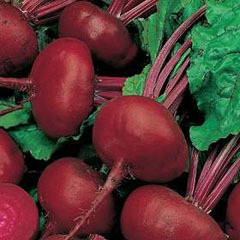 Ideal for early sowings as they mature quickly, producing unusual flatter roots with deep red flesh and a sweet flavour. Continue to water as necessary and keep free of weeds. 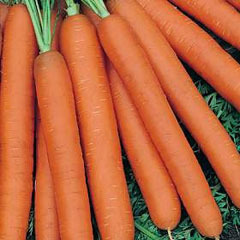 A cylindrical, blunt ended, smooth, rich orange skinned and cored 'bunching carrot'. 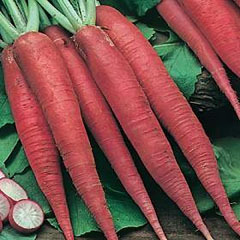 Sow regularly throughout the season for tasty carrots for salads and cooking. Harvest by pulling or lifting in succession over several weeks, starting when the roots are young and tender. Later lifting will provide larger roots and some can be left in the ground and protected against frost with straw or fleece. Alternatively roots can be lifted, cleaned of soil and stored in clamps outside (by placing alternate layers of dry straw and carrot roots with a thick cover of soil) or in boxes or net bags in a cool, dry place. Pure white, deep curds, which will stand in good condition if foliage is bent over the curds during sunny weather. During periods of intense sunlight, protection can be given by bending foliage over the curds, to ensure whiteness. An application of a handful of general fertiliser per plant can be beneficial during growing season. Forms an attractive rosette of green leaves and a small heart if grown to maturity, but often sown as a 'cut and come again' salad leaf. After frosts cut down foliage, leave until March when new growth will appear and form rosettes of exceptional flavour. As these will often be the first fresh chicory to be harvested in early spring they are much appreciated. By cutting with a small piece of root, the flavour will be enhanced. Can also be cut later when small heads have formed. 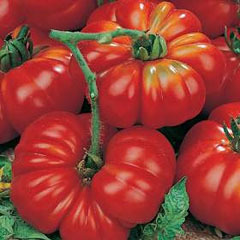 Tennis ball sized, round red, white veined, crisp heads adding colour to salads or cooked vegetables. Boil leaves to remove bitterness, fresh leaves add zest to a mixed salad. At all times keep weed-free and well watered. Mulching with black polythene or straw between rows conserves moisture and suppresses weeds. In late autumn and winter, when temperatures are low, the outer leaves will close together tightly to form heads and at the same time the red colour will intensify. Can also be sown thickly under glass all year round for 'salad leaves'. 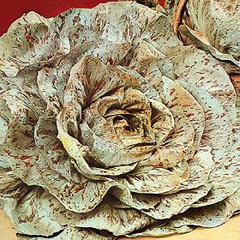 A creamy green, blotched red leaf chicory forming a most decorative loose heart. Colour is more pronounced as cooler winter weather approaches. Late maturing with excellent winter hardiness. Boil leaves to remove bitterness, fresh leaves add zest to a mixed salad. At all times keep weed free and well watered. Mulching with black polythene or straw between rows conserves moisture and suppresses weeds. In late autumn and winter, when temperatures are low, the outer leaves will close together tightly to form heads and at the same time the colours will intensify. Round headed, greenish leaves turning a reddish and white variegated as colder weather beckons and the heart formation becomes more noticeable. Good winter hardiness. Boil leaves to remove bitterness, fresh leaves add zest to a mixed salad. In late autumn and winter, when temperatures are low, the outer leaves will close together tightly to form heads and at the same time the red colour will intensify. 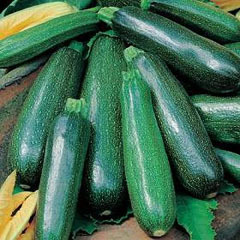 Classic Italian zucchini, indispensable for a host of dishes. Crops early and heavily throughout the summer if the fruits are picked regularly. Early morning picked flowers can be battered and fried or in ‘frittata’, an Italian style omelette. Fruits can be harvested after about 40 days when 10-15cm in length. If fruits are allowed to develop to full size these are treated as marrows for slicing and cooking or are stuffed with meats and herbs. Harvest regularly for maximum crops over a long season. Darkish green, smooth, cylindrical fruits with pale green stripes. Very productive fruiting variety throughout the summer if picked regularly. 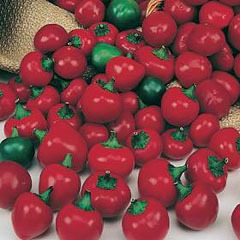 A versatile, round fruited variety which can be cropped from golf ball size for eating raw whole, slightly larger for slicing or stir frying, to tennis ball size for stuffing. Fruits can be harvested after about 40 days at ‘golf ball size’ for eating raw in salads, or ‘tennis ball size’ whilst still tender. If fruits are allowed to develop to full size these should be treated as marrows for slicing and cooking or are delicious stuffed with meats and herbs. Harvest regularly for maximum crops over a long season. Prolific crop throughout the summer of medium length, dark green fruits with short, white spines. Best grown outdoors. Thin to strongest seedling. Protection with polythene or fleece may be necessary during cold weather. Cut fruits regularly to encourage, long continuous production. Cut before fruits show signs of producing seeds, best done early morning when it is fresh and cool. Long, slender, mid green fruits with short spines. A more reliable crop if grown under glass but will grow outdoors in a sunny situation. Protection with polythene or fleece may be necessary during cold weather. Cut fruits regularly to encourage long continuous production. Cut before fruits show signs of producing seeds, best done early morning when it is fresh and cool. Grown similarly to lettuce, mature blanched hearts will be less bitter and have a creamy yellow centre with darker green outside leaves. 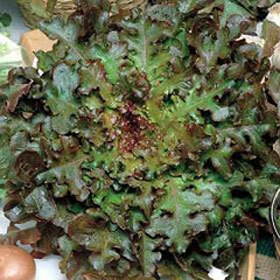 Ideal ingredient for a mixed leaf salad to add taste and texture contrasts. Harvesting of mature hearts can commence after about 80 days from sowing. To reduce the bitter flavour the plants should be blanched in succession. Once blanched the hearts will deteriorate in quality, so blanching should be carried out to fit in with harvesting requirements. Blanching is achieved by tying up the lower leaves to cover the plant or by placing a 25 cm size pot over the plants and blocking the drainage hole to exclude light. 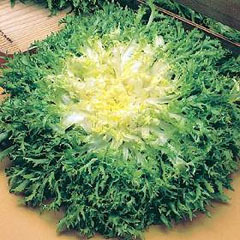 A mixture of different tastes, colours and leaf shapes, from light to dark green outer leaves and white to gold centres, plus deep green salad endive with upright irregular shaped leaves. Ideal for summer and autumn cultivation. 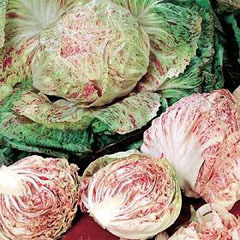 Mixture contains Endive Romanesca da Taglio, Fijne Krul Geel (Sempre Bianca), Pancalieri a Costa Bianca, Riccia a Cuore d'Oro. Harvesting of mature hearts can commence after about 80 days from sowing. To reduce the bitter flavour the plants should be blanched in succession. Once blanched the hearts will deteriorate in quality, so blanching should be carried out to fit in with harvesting requirements. Blanching is achieved by tying up the lower leaves to cover the plants or by placing a 25cm size pot over the plants and blocking the drainage hole to exclude light. 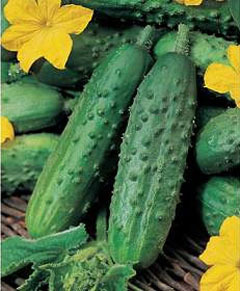 Early ripening and prolific cropping gherkin producing short, firm fleshed, spiny skinned fruits. Ideal whole or sliced for pickling. 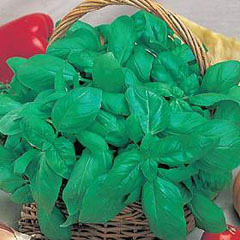 The most popular Basil, essential for authentic Italian cuisine with strong scent and flavour. Easy growing herb for the windowsill or outdoors. After 4 weeks plant into 15cm pots, one plant per pot and place under protection or in sunny sheltered position outside. Alternatively, transplant into the open ground 25cm apart in a sunny, sheltered position. 15 days after transplanting pinch out growing points of the plants to produce bushy plants. 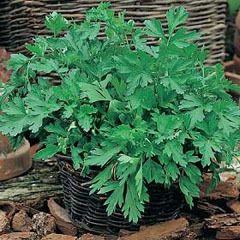 Strong growing Italian Flat Leaved (Plain leaved) parsley indispensable for a huge range of dishes, sauces, salads and as garnish. 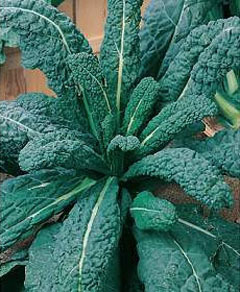 Dark green leaves stand well in condition without yellowing; good winter hardiness. Can also be sown regularly through spring and summer, on the windowsill, for fresh leaves throughout the year. 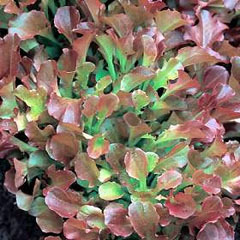 Increasingly popular 'baby salad leaf' to add colour, texture and taste to mixed salads. 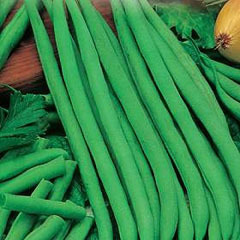 The mature plant can also be used as a winter hardy vegetable when fresh produce is in short supply. After 6 weeks transplant into well manured and prepared soil. Plant with a dibber, allowing 45 to 50cm between plants. Firm soil well around plants, water generously after planting and during hot, dry weather. 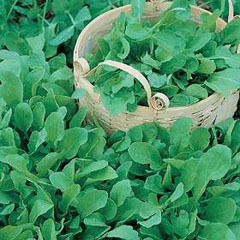 Can also be grown at 20cm spacing for smaller, tender leaves for salads. Long harvesting season and good winter hardiness. 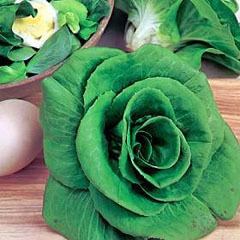 Delicious, crisp, dark green, classic ‘Romaine’ type with solid hearts which stand in good condition during hot weather. Traditionally used in Caesar salads. Keep well watered. During warmer months cutting can commence after about 75 days. Forms a voluminous head of reddish-bronzed leaves. Non-hearting, just pick young leaves as required or cut the full head, wash and keep in the refrigerator. The whole plant can be lifted complete with roots, soil washed from the roots, which will keep the leaves fresh for a longer time. 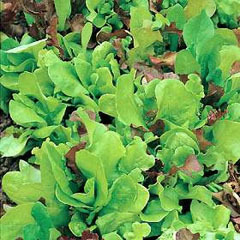 A loose leaf 'picking lettuce' producing abundant bronzed leaves to add to salads, and sandwiches, or used as a garnish. 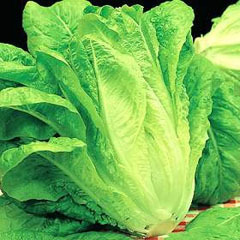 Lettuce is very suitable for inter-cropping between taller, long-standing vegetables, such as beans, tomatoes, peppers, etc. Lettuces require rich, moisture retentive soil free of weeds. Cut frequently to keep the crop continuously producing new tender leaves. A loose leaf 'picking lettuce' producing abundant pale green leaves to add to salads and sandwiches, or used as a garnish. Harvesting of the leaves can commence after about 20 days during summer. Cut frequently to keep the crop continuously producing new tender leaves. 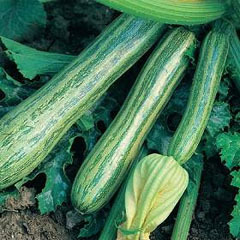 A 'butterhead' variety with soft round, medium sized hearts for sowing and harvesting throughout the spring and summer. 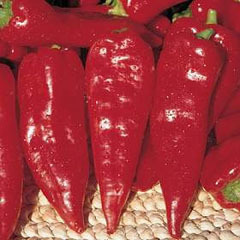 The outer leaves and heart show an attractive bronzed-red colour. Keep well watered. During warmer months cutting can commence after about 70 days. 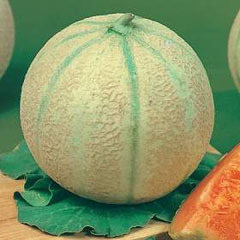 Very early ripening, round/oval cantaloupe with netted skin and darker green sutures. Rich orange, sweet fleshed fruit average 1.2kg (2.5lb). Resistant to fusarium and powdery mildew. After planting the terminal growing point should be pinched out to encourage laterals and make a bushy plant to increase production of fruits. A top dressing of nitrogen fertiliser will encourage abundant growth. 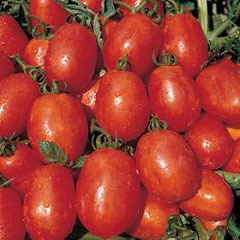 Feed with potash (tomato feed) once first fruits commence to ripen. Dark green skinned fruits with rich crimson flesh. Will fruit in an open sunny position outdoors but grow under glass for a more reliable crop. After seedlings have fully emerged, thin out weaker plant, leaving the strongest seedling. Water well throughout the season. As fruits ripen, gently turn the melons to aid even ripening by exposure of all surfaces to the sun. 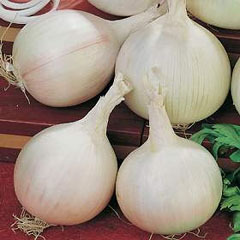 Large, round, white skinned and fleshed bulb onions for storing through the autumn and winter. Delicious sliced and added to salads or used for all cooking purposes. Harvest bulbs in August to September after the leaves have fallen down and dried. Lift bulbs and allow to dry in rows on the soil for 7 to 10 days. Then store in a cool, well-ventilated, dry shed or room in onion nets, ropes or trays. 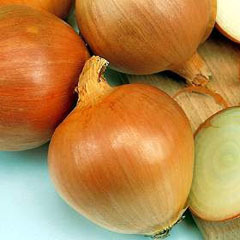 Straw brown skinned, top shaped tapering bulbs, with crisp white flesh ideal for storing through the autumn and winter for all culinary uses. 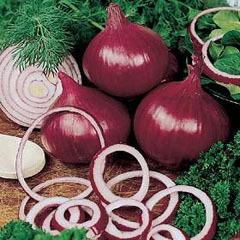 Glossy, red skinned, deeper, more top shaped bulbs of darker flesh with red tinge to the rings. Flavour is quite pungent. Ideal for storing and using throughout the autumn and winter. 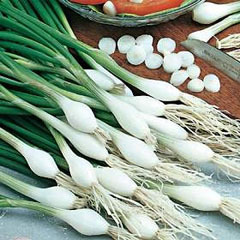 The traditional Italian 'spring onions' an essential ingredient for salads throughout the season. Best pulled small before bulbing develops. Do not thin. Soil must be very fertile, moisture retentive and weed free. Water regularly during hot, dry conditions. 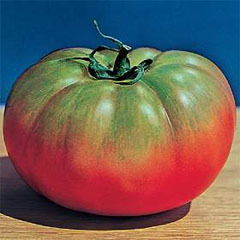 Green 'tomato shaped' fruits which turn red, produced on early cropping, compact plants. Fruits are ideal for stuffing or as crudités for their crunchiness and good flavour. Produces a good crop throughout summer if picked regularly. Keep well watered and feed when the flowers begin to set fruit. Harvest regularly to obtain fruits until the late autumn. 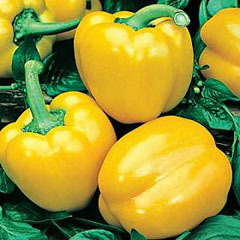 Compact, well-branched plant, producing large, top-shaped, thick walled bell peppers, ideal for stuffing, salads and stir-frying. 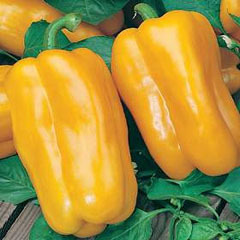 Typical, 'blocky', 4 lobed, shiny-skinned bell pepper with sweet, thick flesh. Has good disease resistance. Productive throughout summer if picked regularly. 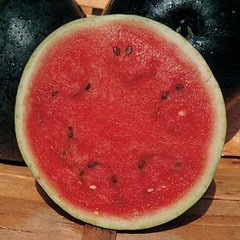 A green fruited, Biscayne type turning bright red with long, broad shouldered slightly tapering fruits with thick flesh, ideal for grilling. 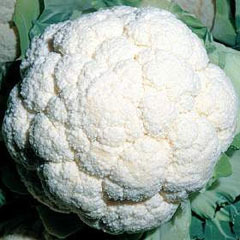 Will produce an abundant crop over a long season if picked regularly. Medium height plant with short internodes to provide a heavy crop of conical, slightly tapering fruits about 14cm in length. 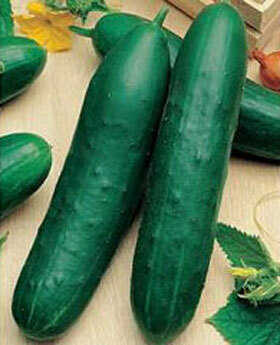 This variety produces thin-skinned, mid green fruits which are ideal for frying and are easily digested. 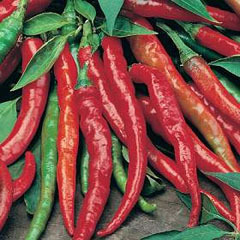 A Cayenne type of hot pepper with 15cm long, tapering fruits, which turn from green to fiery red. The compact, upright plant habit produces fruits in abundance on short internodes. Pick regularly throughout the summer. Long, tapering, red-skinned roots with crisp white flesh. Succulent and quick maturing. An essential ingredient for the salad. 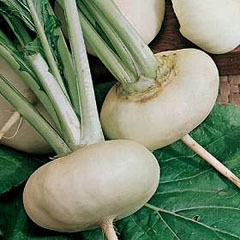 The tender young leaves can be used as an additive to soups and radish seed can also be used as sprouting seeds for salads and stir-fries. Very quick growing, vigorous, robust plant with pungent leaves used as a main ingredient of a mixed green salad to add zest and texture. Keep soil moist at all times for best flavoured leaves and to prevent plants from bolting (running to seed). Seed can also be sown in pots on the windowsill for all the year round harvesting of fresh leaves. Harvest from 30 days after sowing during the summer months. 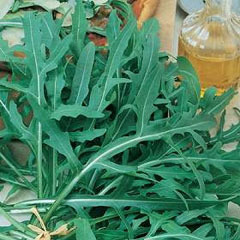 Slower growing and with a more serrated leaf than Cultivated Rocket but increasing in popularity to add to Cultivated Rocket as a mixed salad ingredient. Harvest from 40 days after sowing during the summer months. 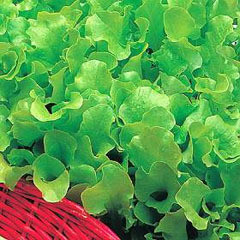 A delicious blend of lettuce which fromregular sowings tasty salad leaves all the year round. 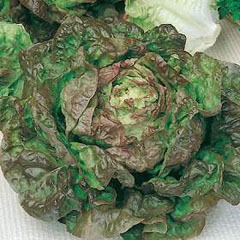 This is a well-balanced mixture of young, fresh and tender leaves of chicory, lettuce, and endives. It will provide a continuous harvest of salad leaves all the year round if successionally sown in pots on the windowsill, or sown outdoors from March to September. It is easy to grow with minimum maintenance. 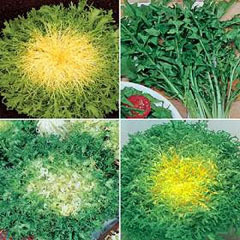 Mixture contains: Lettuce Bionda a Foglia Liscia, Bionda a Foglia Riccia, Verde a Foglia Riccia, Meraviaglia Delle 4 Stagioni and Biscia Rossa. Harvesting can commence 20 days after sowing during the summer months. Pick regularly to encourage new leaves to develop, and sow every 3 weeks for succession. Often called the ‘vegetable oyster’ because of its flavour. 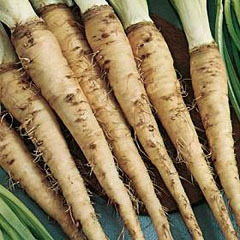 Slender, ‘parsnip’ like roots, white skinned and fleshed. Ideal for lifting in the autumn for storing, or can be left in the ground and lifted as required. In the spring the tender shoots make an appetising green vegetable. Roots can be lifted for immediate use from mid October onwards or stored in boxes of moist sand or peat. Roots are hardy so can be left in the ground until March-April, when tender young shoots will appear and can be cut and used as a green vegetable. A dark green rosette of blistered large leaves produced in abundance and slow to bolt (run to seed) if kept moist. 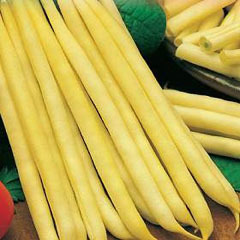 Nutritious vegetable, usually cooked but can be eaten raw as 'baby leaf'. During warm dry spells watering may be necessary twice a day, morning and evening. Harvest when leaves are still lush and tender, best done in the early morning when still cool. Indeterminate. 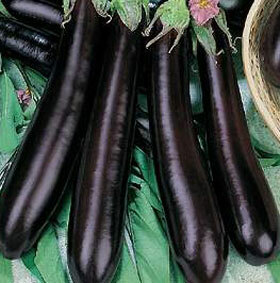 The Number 1 cooking variety and unsurpassed for sauces; dry and meaty, larger plum fruits of deep red skin colour. Early to ripen and crops well over a long season. Keep plants well watered and feed with potash (tomato feed) once first flowers have set fruit. The tall indeterminate varieties will need strong supports. Semi determinate. Traditional 'juicy plum', mostly grown outdoors for a fuller flavour. 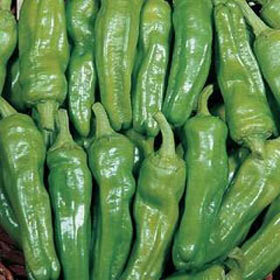 Juicy but meaty flesh with few seeds, ideal for pastes, soups, salsa and for sun dried fruits. Indeterminate. Superb flavoured beefsteak. Large, flattened, ribbed fruits can attain huge size. Meaty and ideal sliced for sandwiches and salads. Crops heavily throughout the season. Indeterminate. A selection of 'Oxheart type', later maturing, producing large, meaty fruits about 200gm in weight. Fruits are deep, ox heart shaped, with rounded base, ribbed and ripen to an orangey-red colour. The flesh is meaty, ideal for slicing and of superb flavour. Indeterminate. 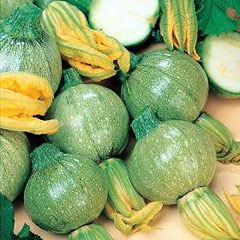 Typical Italian variety with large, flattened round, ribbed fruits. The ripe red fruits show the greener unripe crown. 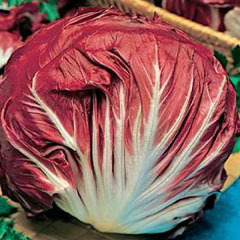 Flavour is superb sliced in a mixed salad, or in cooking. Determinate. Egg sized, deeper than round plum fruits. 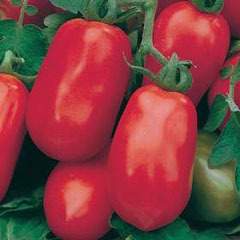 Characteristic sharp taste as 'vine ripened' fruits for salad and ideal as a sun dried variety. Huge cropper over the season. Keep plants well watered and feed with potash (tomato feed) once first flowers have set fruit. Determinate. 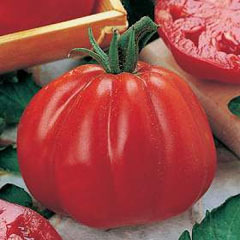 Large 8cm, blocky, pear-shaped paste tomato deep red in colour. 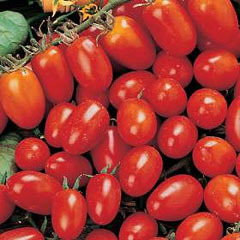 Vigorous plants produce heavy crops of tomatoes in clusters. Good disease resistance. Quick maturing, flatter than round, pure white skinned and fleshed roots. Can be forced for early crops, or sown regularly for delicious 'baby roots' for salads or stir frying. Use the tasty leaves as 'greens'. Keep well watered during the growing period. 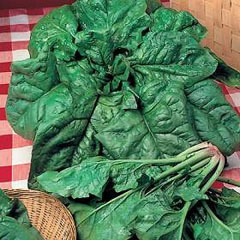 The younger, more tender leaves are often gathered and cooked lightly as a green vegetable.